Kendal Bed and Breakfasts. Compare latest rates and Live availability for all your favourite places and places you have always wanted to go using our new My Shortlist feature. Click + to add to your Shortlist. Bed and Breakfasts in Kendal, Cumbria for 1 night from Fri Apr 19, 2019 to Sat Apr 20, 2019 within 10 miles, in an Average Nightly price range of £1 to £200. Overlooking Lake Windermere and Langdale Fells, Holbeck Ghyll is a 4-red star country house hotel with an award-winning restaurant, boutique spa and fabulous rooms. The individually designed rooms all include beds dressed in Egyptian cotton. They feature an LCD satellite TV, DVD player and a drink of damson gin on arrival. A gourmet menu and international wine list is on offer at the restaurant, which has stunning views of Lake Windermere. In fine weather canapÃ©s are served on the terrace. Using organic products, many relaxing treatments are available at the health spa. Guests can also unwind in the sauna and steam rooms. Set beside the 18-hole golf course at Carus Green Golf Club, The Lodge offers luxury guest rooms in Kendal. Guests have access to the lounge bar and restaurant in the clubhouse and free WiFi is provided. Each of the elegantly decorated rooms has a TV and facilities for making tea and coffee. They all have a modern bathroom that comes with either a bath or a walk-in shower. You can enjoy al fresco dining on the restaurant's terrace, which offers views over the golf course. Guests at The Lodge will receive a discount for the green fee. Free private parking is available on site and the property is 8.1 km from Killington Lake Services M6. You can also choose to visit Kendal Castle, which is 2 miles away. With a spectacular hilltop setting overlooking Lake Windermere and the surrounding Lakeland fells, the award-winning Linthwaite House Hotel is set in over 14 acres of landscaped gardens. Standard in-room facilities include a pd coffee machine, safe, hairdryer, robes, slippers, flat-screen Smart TV with Bose Soundbar and a mini-bar. The suites feature a hot tub big enough for 2 complete with a lake view. The Lake Suites are set at the end of a tree-lined path and can be reached by our concierge buggy or with a gentle stroll through the woods. There are landscaped gardens, woods and a tarn where guests can fish for brown trout or row a boat, as well as plenty of green space to enjoy a game of boules, croquet or chess. Guests can indulge in a cocktail, a locally distilled spirit or locally brewed beer while enjoying the views from the terrace and conservatory. There is an extensive all-day bar menu available and our an Italian restaurant, â€˜Stella' for evening dining. When possible, locally produced ingredients are used in the freshly prepared dishes. Overlooking Lake Windermere, Lindeth Fell offers impressive views and free parking, just 5 minutes from Windermere Ferry Crossing. It offers colourful flower gardens, elegant rooms and tea and scones on arrival. An award-winning, luxury bed and breakfast, Lindeth Fell Country House is set in an elegant Edwardian house with high ceilings and period features. It offers spacious, individually decorated rooms with Egyptian cotton sheets, an airy en suite bathroom, flat-screen TV and tea and coffee facilities. Many offer lake views. An extensive breakfast menu is served in the bright dining room overlooking 7 acres of beautiful gardens and the stunning Coniston mountain range. There is a large range of cold platters and snacks available to order. You can also relax in a cosy lounge with log fires and a fully licensed residents bar. Guest can enjoy free access to a local leisure club and swimming pool with sauna of the nearby hotel. Lindeth Fell Country House is just a mile south of Bowness-on-Windermere, which is home to shops, restaurants and cafÃ©s. Windermere Golf Club is just 20 minutes' walk away, and Windermere Railway Station can be reached in 10 minutes. Enjoying beautiful views of Lake Windemere, the charming Ryebeck also boasts 5 acres of gardens and grounds, individually styled rooms and an award-winning restaurant. Spacious and bright bedrooms have been elegantly decorated and furnished. Each room features a flat-screen TV and a private bathroom, with some offering a private patio or splendid lake views. The award-winning restaurant has 2 AA Rosettes and overlooks the gardens and the lake, serving a menu that changes with the season's ingredients. Guests can unwind with afternoon tea in one of the stylish lounges, or on the terrace if weather permits. The surrounding fells and countryside provide beautiful walks, just moments from the hotel's doorstep. Beatrix Potter's former home, Hill Top Farm, is just a 30-minute journey over the car ferry. 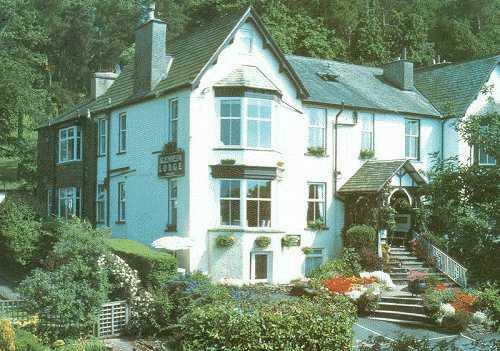 Perched on a hill overlooking Windermere town centre is the Windermere Hotel. Built in 1847 the hotel offers rooms with en suite bathrooms, and a restaurant. Many rooms offer stunning view over Lake Windermere or the town centre. All feature TVs, hairdryers and tea/coffee making facilities, whilst free Wi-Fi is available in public areas. Enjoy a drink from the modern Piano Lounge Bar on the outdoor patio overlooking the quiet gardens. The Boardroom offers a TV, board games and cards. The restaurant has recently been refurbished and serves English cuisine. The many fantastic cafes and restaurants in Windermere are just a short walk from the hotel. 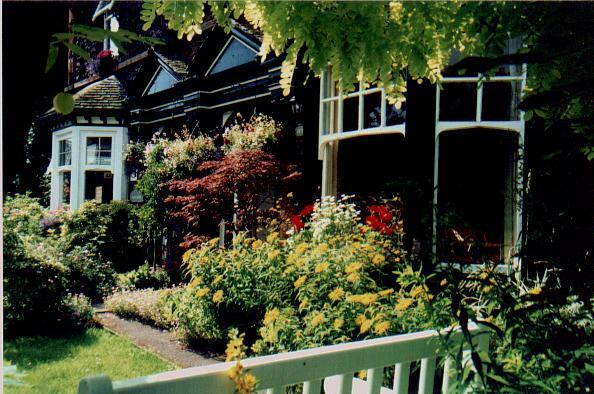 We are a Quality Cumbria Assureded Guest House in the centre of Bowness on Windermere overlooking the lake. Eleven of our rooms are en-suite all with showers and four have both a bath & shower. Seven bedrooms have views over Lake Windermere & the fells beyond. Our bedrooms are individually styled & decorated to a high standard. Rooms have flat screen TV Wifi beverage tray hair drier & luxury toiletries. We provide free parking for all our guests. Our award winning breakfasts are served in our breakfast room that overlooks Lake Windermere. We source as much produce as possible locally & cater for most tastes. Special dietary needs can be accommodated on request. We are located centrally in Bowness & there are more than 30 restaurants within two minutes of our front door. We are close to the Pier and near many of the attractions in South Lakeland. Windermere railway station is under a mile away & local bus services run through town. Taxis are available locally or on request from the guest house.